« Monkey Business at Buckingham Palace! Oh dear they may have already snared me. Thanks, you may be right. They are so sweet. on December 22, 2014 at 6:41 am | Reply Let's CUT the Crap! Don’t fall in love or beg to keep one. on December 22, 2014 at 4:06 pm Let's CUT the Crap! Oh-oh, but I know how it is. I have ONE and am thinking of getting another one. These two are brothers, not sure how two who don’t know each other react! on December 23, 2014 at 7:07 pm Let's CUT the Crap! You have to separate them and introduce them little by little to see they reat. It’s a long process. Lucky you, I’m kitty-less this Christmas…sigh! Enjoy the cats and the holidays. Thank you. I might have to get some kittens of my own. They are quite rambunctious. Keep them! 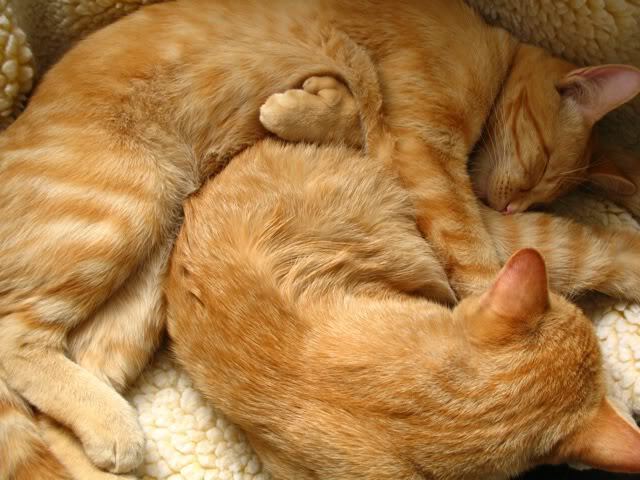 Orange kitties are special. You need them. I’m told most tabbies are female and these are boys so I guess they’re even more rare. It will be hard to let them go. Thanks Alex. It’s such a compliment to be reblogged. I don’t think that’s ever happened before. Thank you again.